I had thought I had lost any capacity to be amazed by the ignorance of some people but I was wrong. I would have thought that even someone with only the vaguest grasp of history would have realized that the movie Titanic was based on real events. According to this article in the Independent, I would be wrong. 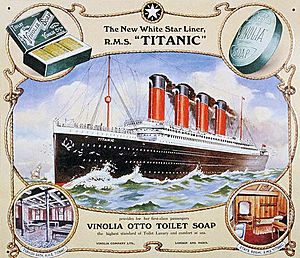 IT may have been one of the most iconic disasters of the twentieth century but it appears that some Twitter users are only now waking up to the fact that the sinking of the Titanic was not just the plot of a blockbuster film. While subscribers to the microblogging site may be kept constantly up to date with the latest news and gossip, it is appears that some are less than familiar with the major events of the more distant past. 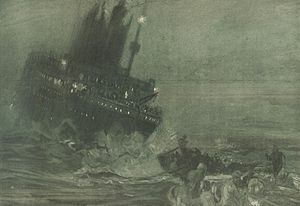 The sinking of the White Star liner with the loss of 1,500 lives in 1912 stunned the world and became a byword for tragedy. But it appears that it has become so enmeshed in popular culture – particularly with the recently re-released film starring Leonardo DiCaprio and Kate Winslet – that some were not aware of the historical reality. Neither do I. I really don’t know how someone could be so ignorant. Maybe they don’t teach history in public schools anymore, except for politically correct victimology. I just don’t know.